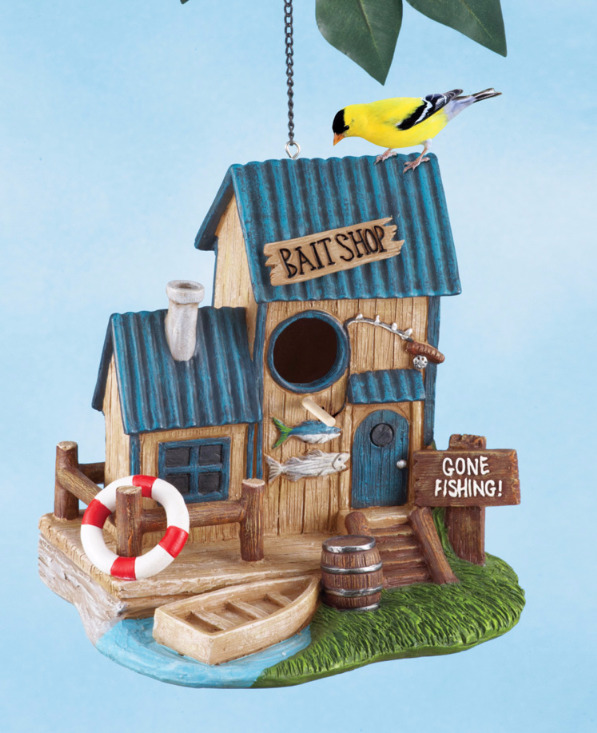 Your feathered friends can move right in while the bait shop owners have "Gone Fishing". 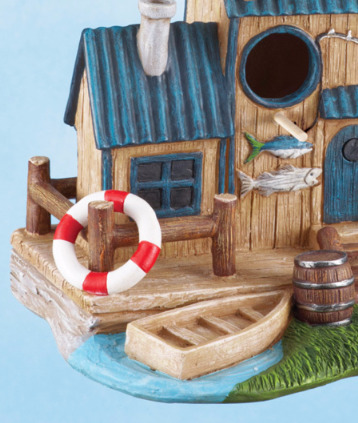 Hand painted Birdhouse has several charming details including life saver, boat, and adorable signs. 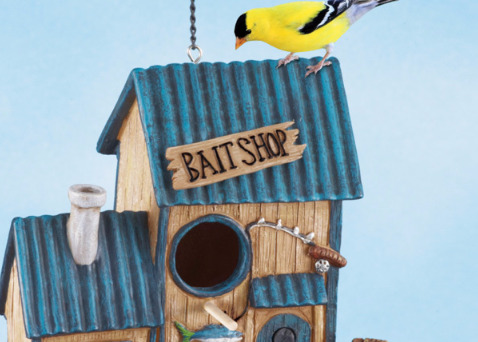 The colorful house has a perch for easy access, an 8" 1/2" chain for hanging and a door on the back for cleaning. 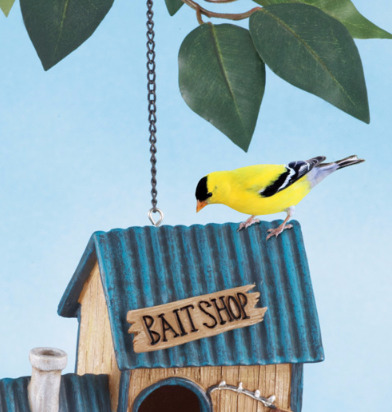 Resin, measures 9" L X 8" W by 8" 3/4"H.